The Mobile Phone-Based Self-Management Aid for Adolescents (mASMAA) was developed by associate professor Hyekyun Rhee of the School of Nursing with computer science professor James Allen to help teens better manage their asthma. A teenager with asthma could be coughing, wheezing, and feeling short of breath, but be too engrossed in texting with friends to even notice. After more than a decade of working with asthmatic teens, Hyekyun Rhee, associate professor and recently appointed chair of nursing science at the School of Nursing, knows this scenario is all too typical. But she also knows that within this scenario lies not only the challenge but also several possible solutions to helping these teens better manage their condition. For example, what if a smart, interactive text messaging system could be devised that would understand teens’ texting language, communicate daily with the teens by asking a few open-ended questions about their asthma and medications, and include their parents as partners to the teens’ asthma daily management? Rhee enlisted the help of James Allen, professor of computer science, to devise the Mobile Phone-Based Self-Management Aid for Adolescents (mASMAA) that is designed to understand texting lingo, as well as words that would indicate symptoms, activities, or medications. In a pilot study, teens and parents who used it in a two-week trial reported better asthma self-management by teens and a better teen-parent partnership in managing the asthma. Rhee and her team plan to conduct a large clinical trial to see whether mASMAA use would ultimately improve asthma outcomes. The ADAMM mobile device monitors asthma symptoms and activity levels. Since it is easy to actually hear an asthma “event” with the naked ear, could a mobile device be created and worn by asthmatic teens that could record their symptoms for them, so they could gauge their symptoms more accurately and objectively? In another collaboration, Rhee worked with Mark Bocko, distinguished professor and chair of electrical and computer engineering, on the Automated Device for Asthma Monitoring (ADAMM), which continuously monitors coughs 24 hours a day in conjunction with activity levels using a built-in accelerometer. The data can then be downloaded to an iPod, smartphone, or computer to see daily, weekly, or even monthly patterns of symptoms and adjust medication or behavior. The award-winning device is patented and has been licensed to Health Care Originals, a start-up company that has further developed it into a wearable device. Finally, teens often do not have enough knowledge and skills to manage their asthma effectively, yet opportunities for teens to learn about their asthma and its management are rare. Teens are more likely to listen to and lean from their peers than adults when they face trouble with asthma. What if they could attend interactive asthma training camps, where trained teen leaders who also have asthma could discuss the condition and ways to manage it, and follow up with them afterwards? 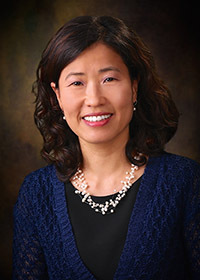 Rhee has received a $3 million grant from NIH to lead a randomized, controlled study to test the Peer-led Asthma Self-Management for Adolescents (PLASMA) Program in Buffalo, Baltimore, and Memphis. Rhee’s work shows the importance of understanding the patient, not just the patient’s symptoms, so that solutions can be devised that have a realistic chance of working. She also recognizes the value of collaboration, when highly specialized expertise is needed from University colleagues like Allen and Bocko.